Nikon’s new 8-24x25 ACULON T11 Zoom binocular is a portable, pocket-sized binocular that stows so easily, you won’t even know it’s there until you need it. With the option of changing magnification anywhere between 8-power and 24-power through a centrally located zoom lever, these binoculars will prove to be extremely versatile and will surely suit your needs under any circumstances. 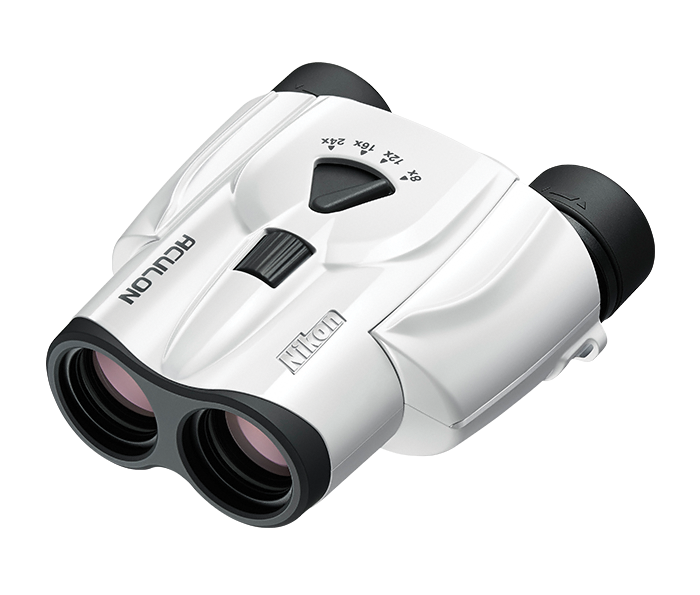 The ACULON T11 binoculars are constructed from the highest quality parts and use multilayered optics to ensure the clearest and brightest view possible. This new binocular is made with bright, multicoated optics with multiple layers of anti-reflective compounds that can reproduce virtually any visible image to almost exactly what it appears to the naked eye in all ranges of ambient light. Engineered with impeccable precision to assure image reproduction is essentially the same as when viewed with the naked eye. Allows a custom fit to your eye so there won’t be any irritation after long periods of use in the field.